Planning a getaway or looking to surprise someone special? Add that extra something with one of our Manor Specials or Getaway Packages. All of Gold Mountain Manor packages are for a two-night stay, based on double occupancy and must be booked 72 hours in advance. 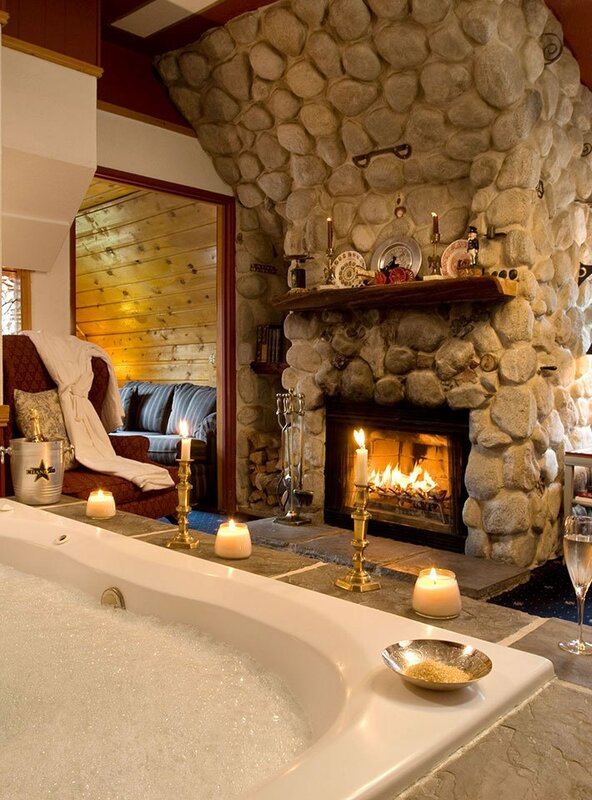 Cozy up for two nights with a romantic rendezvous in the mountains. We’ll light the candles and set the champagne on ice prior to your arrival. Afternoon nap under your down comforter or on a hammock in the front yard followed by the Manor’s signature Gooey Chocolate Chip Oatmeal Cookies and beverages. In-room massage for two! Release your city stresses or as a follow up to any high-country adventure, massages happen one at a time and are each one hour in length. 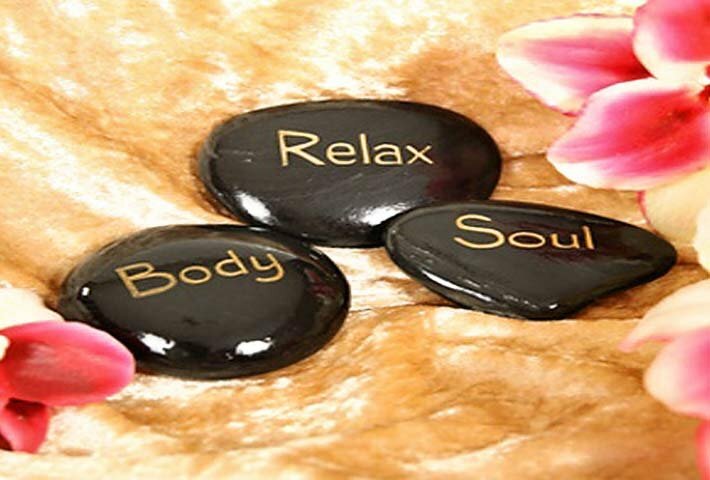 (Massage for one is $90) Massages provided by a certified, licensed massage therapist. A perfect complement to a romantic weekend! 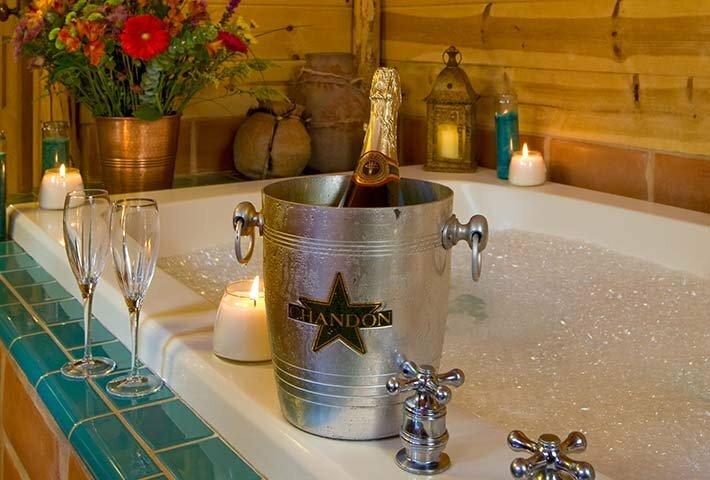 We’ll make sure to have the chilled champagne and lit candles waiting for you when you arrive. Healing & Rejuvenation of body, mind and spirit. Dixie Madden is a true artist in her arts of Reiki and Jin Shin Jyutsu. Walk through the forest, we will slow you the way, to her Reiki Studio. You will immediately be soothed and reassured when you enter her beautiful environment. Experience Dixie’s healing gifts for yourself in her one and half hour session. Enjoy a 10% discount off your room reservation as well as a 10% discount off Dixie’s session fee.